Imagine you’re stuck in an office elevator. You are calling the office manager for help but no one is answering. Why? Because the manager is busy talking with somebody, who called to report a dirty window on the 9th floor. If you’ve worked in a bank call center, then you know this: most of the issues that people are calling with are of minor importance. The trick is to quickly help those customers, who need it the most. For example, by hiring more staff in a call center. But what if you are a young company, like Revolut, which hasn’t yet built a call center in every country it operates in? Then you must be context-sensitive – as much as you can. But also, you need to be able to help customers who have the simplest questions … before they reach a costly human advisor. Here is how Revolut does it. 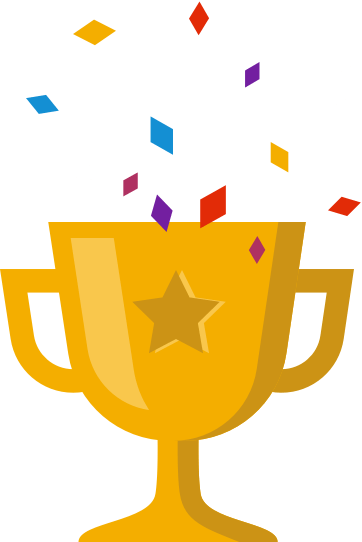 I created my account with Revolut this year because … well, everyone else was doing it and I was curious. From the very beginning, I had some questions about the app and the plastic they offer. But there was no one to contact. No telephone number, email, contact form. Only a bot waiting in a text chat and a forum (more about it later). Well, I thought, this is how traditional banks will always beat the newcomers – like Revolut or N26 – with a great customer service, where the customer has a range of touch points: from voice contact to a physical branch. But then something happened: one particular day I checked my Revolut account and found, that I was charged without a reason. Of course I checked the transaction details and read them from top to bottom. I didn’t find an answer, but at the bottom of the page I found something more interesting: a link asking “Something wrong? Get help!”. I clicked it … and this is how I entered Revolut’s text chat. Why Revolut offered its help in that particular moment? Everything related to a possible fraud is a top priority, because losing money is one of the most upsetting things in life. 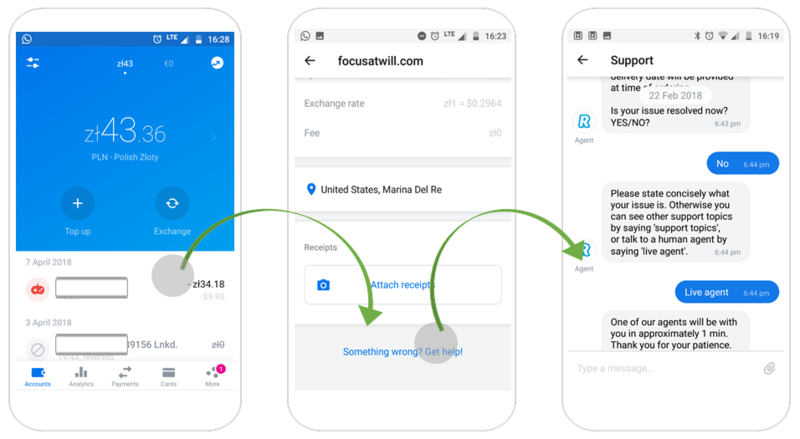 This is why (in my opinion) Revolut treats users with transactional problems with more importance, hence, offers contextual help for them. What Revolut did by placing the link in the transaction details page, is that they anticipated my user journey in the app and established a contextual touch point (or as Forrester’s Research Josh Bernoff called, it in “The Mobile Mind Shift” – mobile moment). Your customers should be able to get help where and when they need it. Not only in the usual “Contact” but also where people most often use your app or most often have problems with it (do you see that people fail to finish onboarding in the card’s section? Add a help button there!). Be context-sensitive. Let’s get back to my story. As I said – I found the text chat, but that does not mean that a live person greeted me there. First, I was connected with a bot named Rita, and Rita was wise – she quite quickly figured out that she wouldn’t be able to help me. She only recited formulas irrelevant to my particular case, so after a short exchange of opinions, the bot suggested contacting me with a human agent. And this was, finally, where I learned why I was charged (although I won’t go into details about why I was charged, as it is personal stuff, let me just stress that it wasn’t Revoult’s fault). Why Revolut offered a bot instead of a living agent? When you grow so fast (and Revolut is not even three years old but operates in 26 countries), you need to be able to provide some kind of customer support in different markets. And people will have different questions, some will be of lower priority, but some will be urgent (“I need to buy a yacht!”). As you are not able to distinguish who is who, you may try to resolve the simplest questions with a bot – the time of a human consultant is much more expensive, so it only should be devoted to the tougher cases. 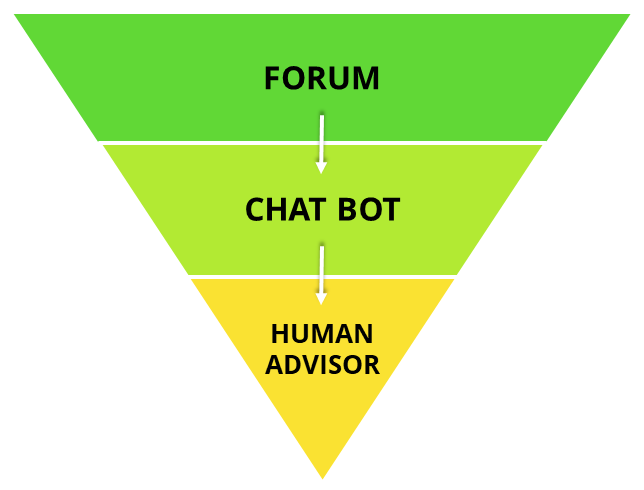 Another scalable way of providing customer service is to establish an in-app forum, where customers (who don’t need an express response) can look for answers. If you don’t like waiting, you can buy the premium package and get 24/7 priority support. recognize biggest pain points in your application -> establish touch points there -> prioritize those customers in queue. establish levels of initiation. Before you lat someone to talk with your human agent, firs offer a customer less expensive contact forms, starting with forum and bot. I still think that Revolut customer service could be better. Sometimes users have to wait for a few days before anyone deals with their case and some people don’t get any reply at all (you can find a lot of such stories on the forum). 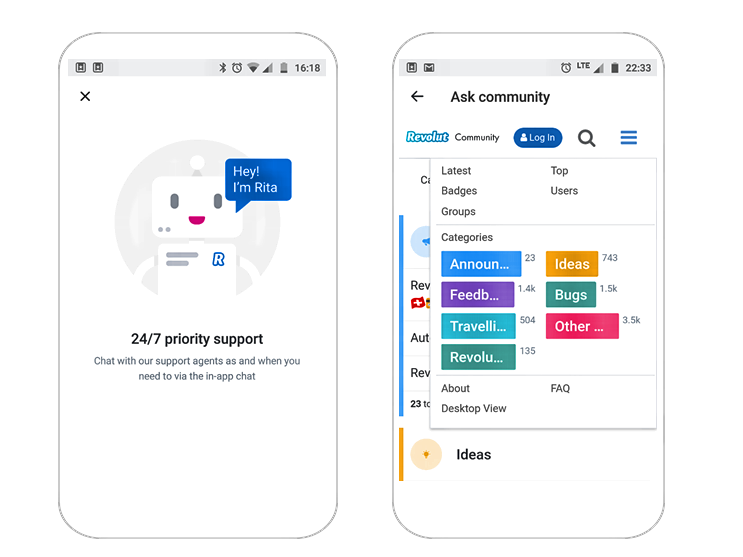 The good news is that, most probably, Revolut customer service will get better – for instance, they already employ 150 customer service people in Cracow). Nonetheless, I also think they are doing a great job in understanding their journeys and making sure that the elevator (packed with users) won’t get stuck on the ground floor. Published by FINANTEQ Insights — FINANTEQ Insights provides FINANTEQ’s clients with market research and actionable insights.